The prestigious development of Santa Bárbara finds itself within the municipality of Rocafort, which is home to 6600 people and is located 6 kilometres north west of Valencia. Despite being located in a green area just north of the town, the development remains perfectly connected to Valencia city thanks to the nearby CV-310 road and the CV-35 Ademuz motorway. Santa Bárbara offers all the typical services and facilities of this type of development including a Country Club, a tennis club, sports facilities, a swimming pool and 24 hour security. Valencia city is within quick and easy reach thanks to the Rocafort and Massarrojos metro stops which can be found 2 kilometres away from the development. Using the metro is a great way to avoid congestion and parking problems. The prestigious Cambridge House Community College British school can be found in the southern part of the urbanization, and Los Olivos, another illustrious British school, is located in the neighbouring town of Godella, some 2 kilometres away. Fans of golf will be interested to hear that Santa Bárbara is ideally positioned close to several golf courses including the famous Escorpión located 8 kilometres away in Bétera, and the 9 hole El club de golf de Manises is 11 kilometres away. Within a 30 kilometre radius one can find three of the most important 18 hole golf courses in Spain, those being El Bosque in Chiva, Foressos in Picassent and El Saler. Coastal Valencia is the perfect place to sail. At 12 kilometres away, Port Saplaya is the closest marina to Santa Bárbara. Valencia city’s Port America’s Cup is 14 kilometres away and Pobla de Farnals is 15 kilometres away. The splendid Valencia beaches are another draw to the area, the closest of which are in Alboraia: Port Saplaya and Patacona. 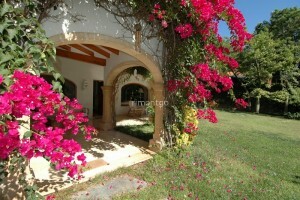 Browse Santa Bárbara property for sale listings.